The cranes are Heljan 'Container Terminal' models with slight modifications and full re-paints to make them more fitting for the UK. They are DCC controlled and up to 3 can be programmed to work on the same track from a single controller. 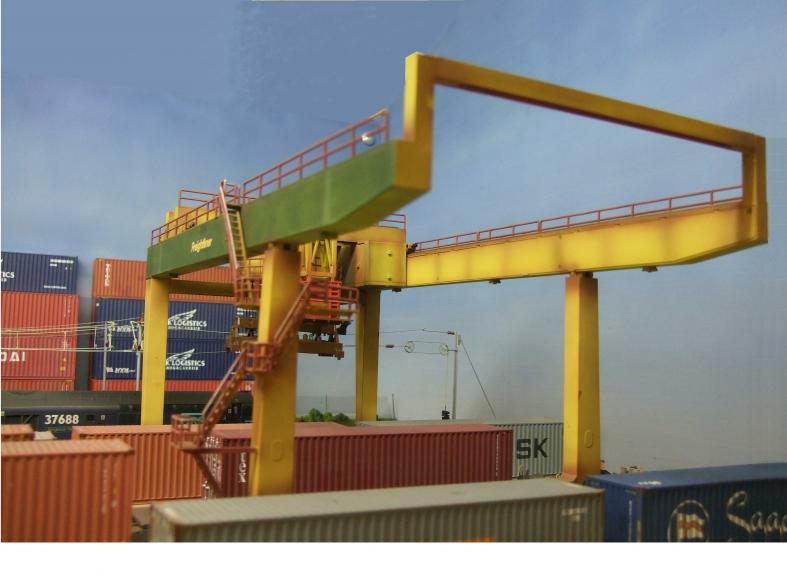 Electro-magnets built into the cranes 'grabber' are used to lift the containers. All of the containers for operational use on Warren Lane have been modified to include either Heljan adaptor bars fitted in the top or an alternative home-brew method that is similar in appearance. 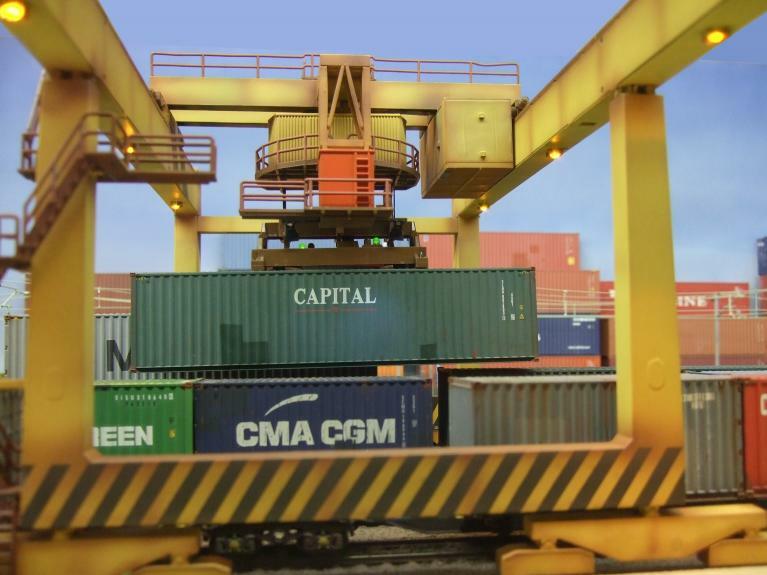 This modification allows the magnets in the cranes to engage with the containers and lift them. If you look carefully at the tops of the containers you will notice two 5mm circles on all of them from this modification, painted to blend in perfectly.